Splashpress Media now has been sporting the same designs across our network for several years already, some of these designs more than 4 years old already. After the compulsory redesign of our new webdesign studio BusinessLogs, the second half of 2010 kicked off a major design overhaul, under the supervision of the talented Ia Sofimi at Businesslogs. Amid work on several joint ventures, we immediately started with some of the most popular sites in our rolodex and tackled the popular ForeverGeek and Freelance Writing Jobs. ForeverGeek’s former design by Design Disease was a very popular design and widely recognized. When we started we wanted to maintain as many elements as possible, preserving the brand’s identity. Next up on our roster was a realignment of ForeverGeek. A realignment, you say? If you’re familiar with the old design, this new iteration still carries a similar look and layout, but with a few new touches. There are now four main sections on the homepage: Features, Games, Anime & Comics, and the Rest—color-coded so they’re easy to distinguish. At the top, the latest post is featured in each box. In the content area, each section dynamically cycles through each post. 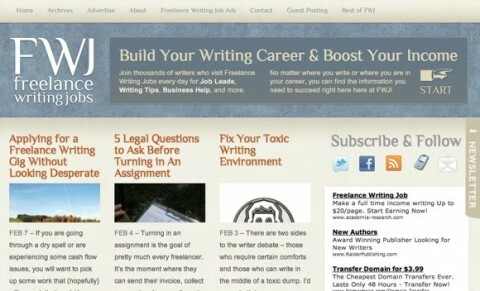 Next on the list was the number one community for Freelance writers, Freelance Writing Jobs, which we acquired mid-2010. Also at FWJ a lot of work went in to the reorganization of the home page, reducing clutter and optimizing the traffic flow, while highlighting the editorial content more. Much of the work went into reorganizing the homepage such that everything is at your fingertips. From the introductory message about FWJ to the equal height boxes and aligned headings (with a little help from jQuery of course), everything is neatly arranged so you don’t get overwhelmed by the information this massive site has to offer. The grid is your friend. FWJ’s new logo uses the Philosopher web font, which is designed by Jovanny Lemonad and available for embedding through the Google Font Directory. Under the hood, we’ve turned once again to the trusty by StudioPress. The next heavy hitter which underwent a redesign was Apple Gazette, our Apple and iOS news site. Redesigning AppleGazette was no small feat, even though the design remains familiar to its regular customers. Visually, we had to strike a balance between paying homage to Apple’s design influence and maintaining the site’s own identity. The result is a cleaner, lighter, more streamlined, more modern approach to blog design. If there ever was a site to take advantage of CSS shadows, gradients, and rounded corners, AG was certainly the place to do it! Like what we did with ForeverGeek, browsing through image attachments was another mandatory feature for our network blog—more sites should do this. In the mean time we also refreshed Erati, under the lead of Ali Hussain. Our TV series blog, edited by Robin Parish, was totally refreshed and reorganized in order to move away from the popular blog news stream design concept. The BusinessLogs crew also designed the Splashpress Media/IOIX joint ventures that are Recipe Finder blog, Search Plugins and Infographiclabs. Ia and Ali Hussain have also worked at the redesign of IndyPosted and work is ongoing for the redesign of a major geek news site (which we sadly can not reveal yet!). images in a post. 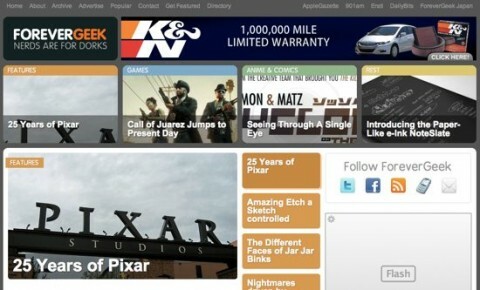 Examples are abundant and can be seen here on ForeverGeek and Apple Gazette. 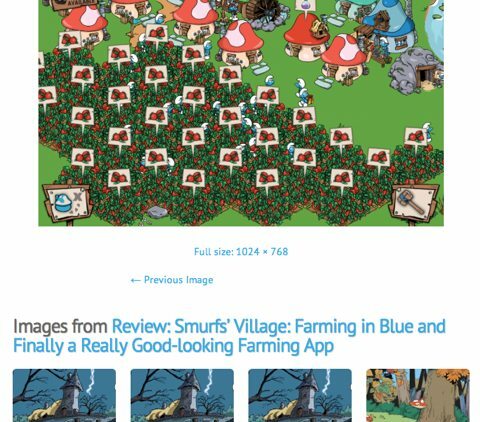 Focusing on the galleries and getting WordPress and GenesisWP play together wasn’t always easy, but for those wanting to know how we did get WordPress to display the larger images in GenesisWP read Ia’s tutorial How to change the image size on attachment pages in GenesisWP. One of the major changes in our work and design flow has been the introduction of the GenesisWP framework by StudioPress. Much has been written about frameworks and the voyage wasn’t always easy, but we love the ease of maintenance and update features coming with the use of the excellent framework created by Brian Gardner and Nathan Rice.